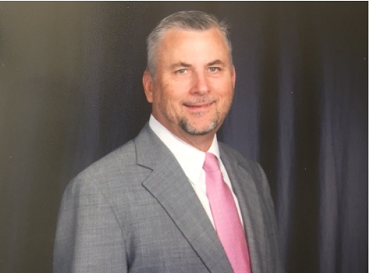 James A. McPherson (Jay) moved to Hazlehurst, GA with his parents after his father secured the job as General Manager of Alco Controls in 1974. Jay entered Jeff Davis High School in 9thgrade and graduated in 1979. After high school, Jay went to college at Georgia Southern where he earned his BBA. While in college he met his wife and together they have 3 children and 5 grandchildren. Jay enjoys the outdoors, hunting, golfing and being with his family. Jay was an entrepreneur from the beginning…going door to door selling Christmas cards as a child, spent summers cutting grass, and worked at a local service station pumping gas as a teenager. He has always been a go-getter, and the wheels in his mind never stop. He is always thinking of ways to make money. McPherson Manufacturing Corporation began as a partnership between Mr. James W. Ayers and Jay’s father, Mr. William F. McPherson Sr. Later, Mr. McPherson bought out Mr. Ayers, then naming the business McPherson Manufacturing. In the early 1990’s Jay bought the business from his parents , becoming sole owner of the business. In the past 37 years, we have become very diversified due to the nature of manufacturing. We are a small family business manufacturer in Southeast Ga and pride ourselves “southern hospitality” and quality customer service.